In the old days, trades were kept alive by Masters, who took on and trained apprentices into journeymen, who became Masters in their own right. We've lost that in most ways, but there's no reason you can't resurrect the approach for our modern times. 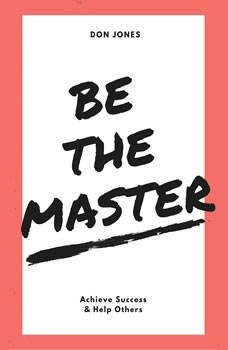 Learn to achieve and recognize your own success, so that you can become a Master to someone else. This book covers my approach to Mastery, in a hope that it will inspire you to find your own path, and begin a generations-long tradition of helping others achieve their success. I cover the hurdles I overcame, including things like Imposter Syndrome, and outline a step-by-step approach for achieving your success. Because so many of us work in business, and because that work is usually a key part of our success, I also cover important business-related concepts and perspectives. It's a book I hope you can use to inspire yourself, and to help and inspire others.